OAKLAND, Calif. (KGO) -- The Warriors have become an inspiration to fans all over the world for their championship play on the court, but it's the community around the team that inspires one longtime season-ticket holder and the co-founder of one of the biggest social networking companies in the world. 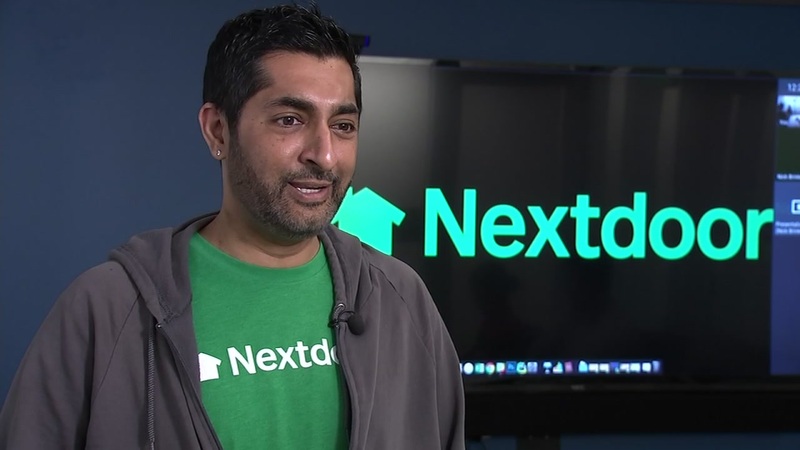 "I grew up in Hayward, California," said Prakash Janakiraman, who was a Warriors fan long before he was the co-founder of the world's largest neighborhood social network, Nextdoor. He's been around certainly long enough to remember that winning wasn't always the Golden State way. "We have an incredibly loyal fan base," said Janakiraman. "Even when the times were tough, the fans were coming out in droves, cheering their heads off at these games and it's become a staple, what people expect of these Warriors games, fandom, that the community comes out to support them, through thick and thin." It's a sentiment -- that feeling of community -- that Janakiraman instilled in "NextDoor" when he co-founded the company in 2010. "The spirit of our company is to build something greater than ourselves," said Janakiraman, "to connect everyone in the community, to build stronger safer communities." Now, the Warriors and Nextdoor are both worldwide phenomena and Warriors' forward Draymond Green is an adviser to Nextdoor -- part of a team devoted to delivering the network to inner city communities. "Whether it's basketball or it's improving your schools or improving the state of your neighborhood, I think people seek community and they need it in their lives," said Janakiraman. See more stories and videos about the Golden State Warriors.